Early childhood years are an important time to establish many of the life-long habits your children will live with into adulthood. Setting healthy oral care habits early will make sure your child understands and practices dental hygiene, saving you money and making sure your child has a healthy and attractive smile when they grow up. 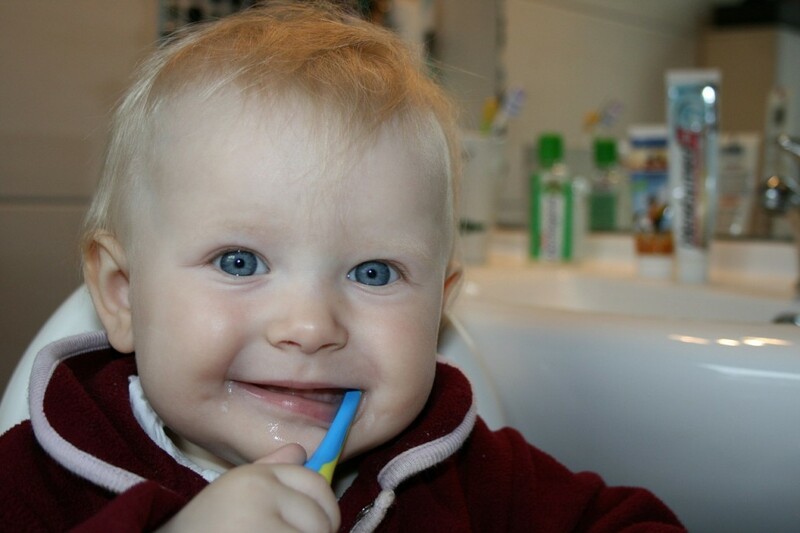 Helping your toddler brush their new teeth with the cute little baby-sized toothbrushes is only part of the process. An early visit to the dentist is important to make sure your child doesn’t develop problems later on. When Should the First Routine Visit Be? A good rule of thumb is to schedule your child’s first dentist appointment before his or her first birthday, or within 6 months of their first tooth. Monitoring and correcting problems this early will make sure their primary teeth are healthy and coming in correctly. Baby teeth, also known as primary teeth, help children develop speech, chewing habits with solid foods and form the tooth pattern that their permanent teeth will follow later. Why Might We Need a Special Visit? When kids start walking, falling and other bumps soon follow. Tooth and gum injuries are common for toddlers who take a spill while learning to walk and run. Toothaches and gum pain from stuck pieces of solid food are also reasons to be seen by a dentist with pediatric experience. What Happens At Baby’s First Dental Appointment? An infant’s first appointment is usually short and involves little or no treatment. There won’t be any drills, scaling or noisy polishers. The dentist will often have the parent sit in the chair holding the child to make them more comfortable. Dentists will often tell the child they need to “count their teeth” to make the child comfortable about a stranger looking in their mouth. Your dentist will be able to use the time, however short, to look for issues and gauge how your child’s oral development is progressing. Just like pediatrician well-baby visits, much of the appointment will be for questions you have for your child’s dentist. Your dentist will talk to you about special needs your child’s teeth have, how to keep them clean and work on positive behaviors like brushing and stopping negative behaviors such as thumb-sucking. How Can I Prepare Baby (And Myself)? Your child will pick up on cues from your attitude about the dentist and oral health, just like at the doctor’s office, sitting in traffic or going to the in-laws. Make sure you’re not rushed when getting ready and driving to the appointment. You and your child can also “play dentist” with each other in the weeks leading up to the visit, checking each others teeth in positive play. You knowing the first visit will be a non-invasive, no-pain (and no shots) experience for your child will often instinctively calm them as well. Our team will make sure your child is treated well and given the best care to make sure he or she starts a lifetime of oral health. Whether it’s time for your child’s first or 10th visit, contact us today for an appointment!